Published in 1995, David Herbert Donald’s “Lincoln” is often considered the quintessential Lincoln biography. Donald, the grandson of a Union cavalry officer, was a long-time history professor at Harvard. He also wrote nearly three-dozen books and is a two-time Pulitzer Prize winner (for his biographies of Charles Sumner and Thomas Wolfe). Best remembered as a leading authority on Abraham Lincoln, Donald died in 2009. 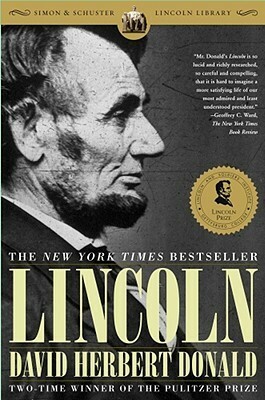 Donald’s “Lincoln” is widely regarded as the best single-volume biography ever written on Abraham Lincoln. With several other renowned biographies of Lincoln still to read I am unable to validate that premise. But fresh off two recently published Lincoln biographies and five-dozen biographies of earlier presidents, I can confirm that this biography – while not quite as “unrivaled” as promised by some – is nevertheless extremely meritorious. Obvious from its earliest pages is that Donald’s biography is scholarly, serious and straightforward. Although it fully presents Lincoln’s dramatic life story, from poverty to the Presidency, this book does not idolize or worship Lincoln as might be the temptation. In fact, many have criticized Donald for emphasizing Lincoln’s “essential passivity” rather than positioning him as a determined, forceful president aggressively pushing the country to embrace his enlightened moral standards. Donald also seems to place less focus than other biographers on Lincoln’s dramatic growth and maturation as president, though this component of his character is not completely hidden. One of the many excellent aspects of this book is Donald’s description of the personalities of, and interplay between, the members of Lincoln’s cabinet. The acumen that accompanies these discussions is particularly interesting and insightful. Also useful is the author’s explanation for Lincoln’s desire (and success) in seeking a seat in the Illinois state legislature in 1834. Equally compelling is discussion of the Republican nominating convention of 1860 and Lincoln’s early hunt for the presidency. Less successful is Donald’s style of writing. Based largely on superlatives from delighted previous readers, I expected a smoothly-flowing, consistently engaging narrative in the style of McCullough or Chernow. However, “Lincoln” does not provide that type of experience. The style and pace of the biography are a bit too uneven and the biography resembles the work of a great historian rather than of a great author. This story is heavy on facts and insight but is relatively light on the nuances that would serve to place the reader “in the room” with Lincoln. Donald’s biography generally proceeds chronologically, as would be expected. But within many of its chapters the story switches without warning between chronological and topical progression. Because the author assumes the reader will manage these transitions without assistance, extra attention is required to avoid any confusion as to the sequencing of the events described. Lincoln and his wife are also less vividly humanized than I would have liked. Whether this is in an attempt to avoid sensationalizing them (or their relationship) on the basis of imperfect historical information I do not know. But compared to the far more expressive treatment the Lincolns received in Michael Burlingame’s recent two-volume study of Lincoln, Donald’s description of the Lincolns often seems relatively bland – and certainly less dramatic. Overall, David Herbert Donald’s “Lincoln” is an excellent biography though it did not quite live up to my high expectations. Instead of a consistently engaging but scholarly study of Lincoln, I encountered a biography designed primarily to inform rather than entertain. Someone expecting a scholarly but entertaining and carefree waltz through Lincoln’s life will be disappointed. But someone seeking serious (but not stodgy) Lincoln scholarship in a single volume will find David Herbert Donald’s “Lincoln” a solid, perhaps great, choice. 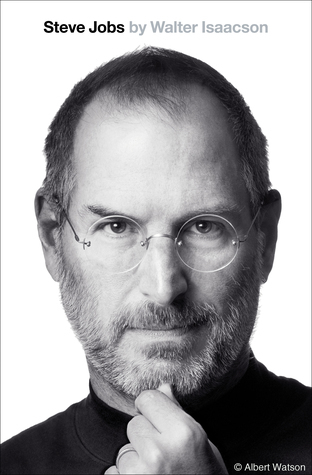 I read this book many years ago and Steve’s review is right on the mark. Thanks for reminding me about this book that I read many years ago. Your review is spot on. Thanks for your comment and re-blogging my post! I probably need to temper my expectations when approaching some of these widely read and well-loved biographies. This was a very good study of Lincoln, but I was under the impression it might well be the best book I’d ever read (which it was not). I read Donald’s Lincoln some years ago. Think it is worthwhile to read White’s A. Lincoln? How would you compare the two? I think White’s biography was an “easier” read (smoother more fluid flow to the text) but it seemed to provide basically the same set of facts. The exception is that White was far too kind in his treatment of Mary Lincoln where Donald was just “slightly” generous. Burlingame’s 2-vol bio, by contrast, really showed the fractious, gritty side of Lincoln’s wife (and their relationship). I had a similar reaction. I chose to read Donald’s “Lincoln” biography a few years ago based on its reputation. Though I have not read another Lincoln biography to compare it to, I have read other Presidential biographies written by McCullough, Morris, Chernow, and others, so I know good biographical writing when I see it, and Donald didn’t quite measure up. Still really loved the book, in part because I loved Lincoln himself, but like you had wished there was more poetry in the writing, and more of character analysis. Sometime soon I hope to tackle another Lincoln bio, probably Goodwin’s. I agree with your review. There was a lot of great information, was well researched, and the author clearly knew a lot about LIncoln. On the other hand, outside of a few great stretches, it was mostly a slog to get through. It took me over a month to read, and I usually plow through 500-600 page books in 2-3 weeks. I just picked up Isaacson’s new book on Davinci, which should be a good read! Read this book in Dec. of 2017. I don’t think I fully realized the struggles that President Lincoln faced and conquered in order to keep the country together until I read this book. Thanks for your review of this book and for the entire project. It has prompted me to renew my interest in American Presidents and to begin the process of collecting and reading the best bios on all of them. I think most Americans instinctively admire (or revere) Lincoln, but until you’ve read a biography like Donald’s it’s hard to truly appreciate what he faced and what he managed to accomplish throughout his life and presidency. Good luck on your own adventure enjoying the best of the presidential bios! I am halfway through Donald’s bio of Lincoln and find Lincoln fascinating. I also came across this book in the library: Lincoln, an illustrated biography by Kunhardt, published in 1992. It is also very good with a great collection of photos from the time. Frederick Meserve was a collector of photographs and the Kunhardts who published the book are his ancestors. Worth taking a look at if you can find a copy.